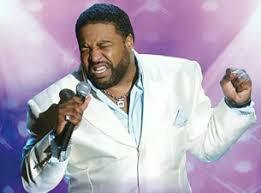 What influenced you growing up in Ohio, home to the Isley Bro’s and Ohio Players around the same time? Those two you speak of were influential, especially the Isley Brothers. When they were doing ‘Twist and Shout’ I used to go to Detroit and see them at the Woodwood Theatre. They were a fantastic and exciting act for a three man group as they were all over the place. They were very instrumental in our forming of the O’Jays because of their gospel sound and background in the way that Ron Isley sang, it certainly influenced me and Walter. The Ohio Players were our back up band for a while before they started making big hits. We used to go to Buffalo and play at the Revalot Lounge and they would open up the show before us and then back us as we sang. They had a very raw and funky danceable sound back then, which wasn’t as refined but very gritty and earthy. I know you believe in hard work and practice till you can do it naturally and were influenced by some of the greats like James Brown, Jackie Wilson and Gladys Knight to sharpen up your performance skills (Yeah). At what point did you realise you had that raspy vocal that would make a difference? Wow I didn’t realise my voice had a uniqueness until we recorded songs like ‘Backstabbers’, ‘Love Train’ and ‘For The Love Of Money’. What led to you renaming the group after the DJ Eddie O’Jay? 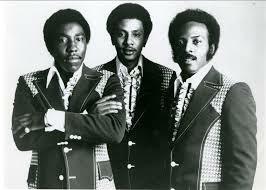 We went to Detroit to audition for Berry Gordy’s Motown and Eddie O’Jay didn’t think that the deal was a fair offer. Berry’s ex wife Thelma had a record company called Deco and she eventually signed us. We recorded a song called ‘The Way I Feel About You’ and they wanted to put the record out but we didn’t like the name The Triumphs that we had at the time. We needed to come up with a name and Eddie O’Jay suggest we used his name temporarily till we found another one. We never looked back. 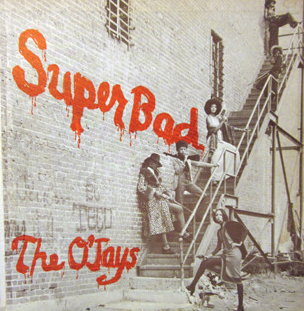 During that Gamble and Huff, Neptunes and PIR interim you recorded the soulful and funky ‘Superbad’ album, a completely different direction for the O’Jays. Featuring Now ‘He’s Home’, ‘Crossroads Of Life’, ‘Shattered Man’ and the epic ‘Peace’, who were some of the uncredited players on the album? That was a compilation album of material we did with both HB Barnum and Philly International musicians. We were on the west coast and HB Barnum collated talents like Bernard Purdie and Eric Gale with Bobby Martin, Earl Young and Thom Bell from Philly. There was also an interest from Motown and Invictus Records but what cemented the move to Gamble and Huff’s new venture PIR records? We experienced a degree of success at Neptunes that we’d never experienced prior to signing with them. When the Neptunes distribution deal folded with Chess Records we almost went home thinking what do we do now? 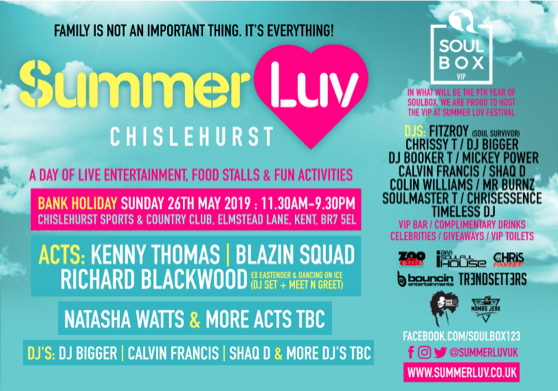 Our biggest reason to go back to Gamble and Huff was them playing us the instrumentals of ‘Back Stabbers’, ‘Love Train’, ‘You Are My Sunshine’ and ‘Let Me Make Love To You’. These were songs we could connect with via our gospel roots and when you’re rehearsing with Leon Huff playing the piano, it sounds like you have a full orchestra with you. The monumental and diverse ‘Back Stabbers’ album had a million seller title track, the universal ‘Love Train’, ‘992 Arguments’ and ‘Time To Get Down’. 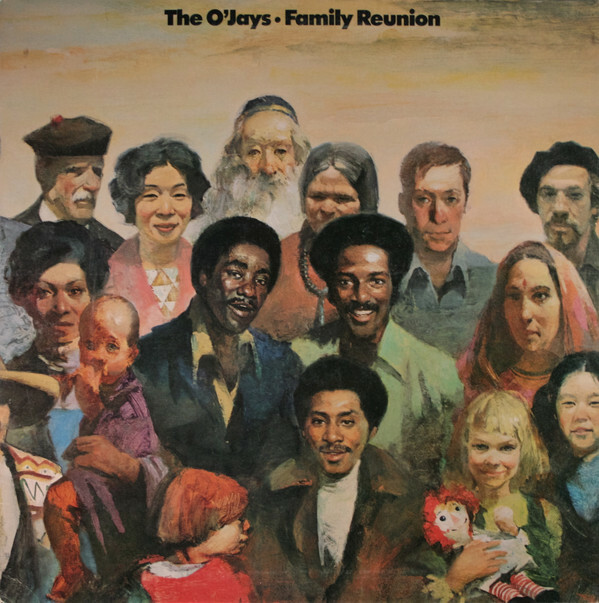 I heard you say that you felt The O’Jay’s brought a gospel feel to the Gamble and Huff sound that was previously one of a popular bubblegum flavour. So how easily did the O’Jays group, the team of Philly musicians and the Gamble and Huff creative team gel? When we went back to Philadelphia International myself and Walter switched leads on a song called ‘It’s Too Strong’ and it was the very first time we did that. That helped give Gamble and Huff the direction of where we should be. From there onwards that marriage helped to create the Philly sound, as opposed to that bubblegum sound as you mentioned. With us, Harold Melvin, The Intruders and Billy Paul onboard it was now a grittier gospel sound with strings and horns. Were you the first PIR act to be signed? Yeah basically along with Billy Paul and The Intruders who were always around Gamble and Huff. 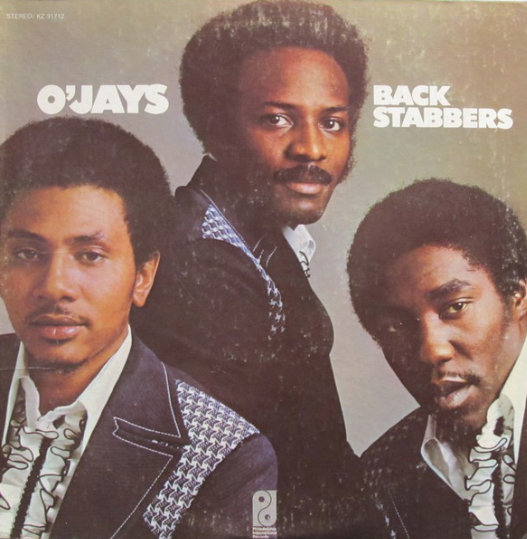 There is some discrepancy on the story of The O’Jays not wishing to record ‘Back Stabbers’. I saw an interview where Walter is trying to explain what happened but what is the real truth? MacFadden and Whitehead wrote the song then sang it to us in the studio as a guide vocal so our first impression was a little dubious as it sounded nothing like our finished version! Now it gets very hot in Philly and whilst rehearsing, the window was open and there was a breeze blowing. Walter was trying to slide the lyrics sheet onto the table but the breeze caught it and the lyrics ended up on the floor. MacFadden and Whitehead mistakingly made out it was thrown on the floor purposely by Walter because we didn’t want to sing their song, which is untrue. ‘Back Stabbers’ is one of the greatest songs ever recorded, and from the time we sung it to a piano with the rhythm track, put the background, lead vocals and strings on it, we knew it was gonna be a hit. How much can you elaborate on the story of recording my favourite off that album ‘When The World’s At Peace’ and the disappearance of the far superior first vocal take? Wow (Eddie’s surprise at me mentioning it) yeah. I’d always been into message music and wanted to say something musically to the world apart from just wooing women or to make love to. So ‘When The World’s At Peace’ appeared we did the background vocals and I felt I needed to put that churchy gospel sound on it. I did the lead vocal in one take and it was agreed by everyone to be such a great vocal performance. We went home and when they mixed it, somehow the engineer erased my vocals. I had to go back and reduplicate that performance but it was never as strong. It was still a great song though. 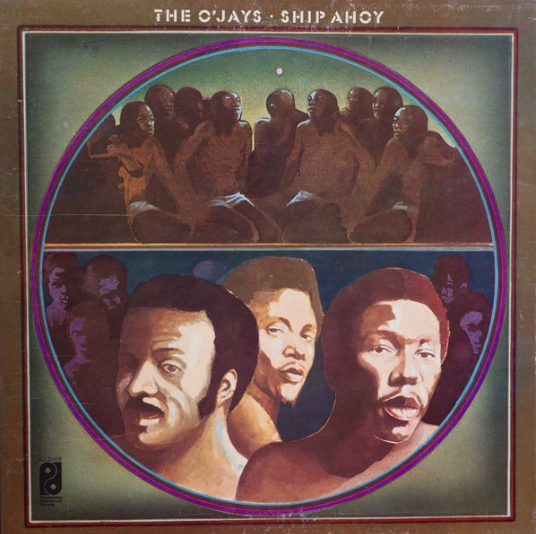 Gamble and Huff seemed to champion concept albums more-so with The O’Jays than of the other male PIR groups and the most pioneering is ‘Ship Ahoy’. With a powerful front and back gatefold cover it harboured the funky conscious ‘For The Love Of Money’, the original before Third World of ‘Now That We Found Love’ and the most compelling slavery tale ‘Ship Ahoy’. Kenny Gamble told me that the track was almost a visual one when I spoke with him. What kind of spiritual emotions did you have connecting with the song as I can only imagine? It was telling the historical story of the black man’s plight coming from Africa to America and the trouble and strife they endured. I was able to take myself to that place and the greatest part of that was replicating it at live performances. We actually had a ship, slaves and dancers to reproduce it visually. We had back lighting and we, The O’Jays, were half dressed in rags and chains looking like slaves and this was all Charlie Atkins’s production and choreography. It actually looked like we were on a ship and it was a message to black people, showing what happened, where we are now and not to forget where we came from. That resinates with me as my parents come from Jamaica and being a young black male when I first heard that song it reminded me of watching Roots in the 1970’s as a kid. Did you start to see the method in the madness in Gamble and Huff’s approach in spreading message music? Me and Kenny Gamble were already in that frame of mind as we both studied Jehovahs Witness and Buddism. All those songs like ‘Now That We Found Love’, ‘When The World’s At Peace’, ‘Back Stabbers’ and ‘Love Train’ was all about our belief and faith. ‘Ship Ahoy’ was a message we needed as humanitarians to give to the world like the song title ‘Give The People What They Want’ suggests. The next album’s self titled ‘Survival’ and ‘Give The People What They Want’ were my favourite tunes followed by another well embraced concept album ‘Family Reunion’. With great songs like the titled track, ‘Unity’ and the classic disco anthem ‘I Love Music’, four Philly albums in, how comfortable were you and the group with being centre of attention of the label’s success? A lot of our songs were message music however we felt at the time that Gamble and Huff were not writing hit records for us but more for Harold Melvin And the Bluenotes. I was complaining because I thought they were getting the best records and Teddy Pendergrass was having success with ‘Close The Door’ and ‘Get Funky Get Loose’. 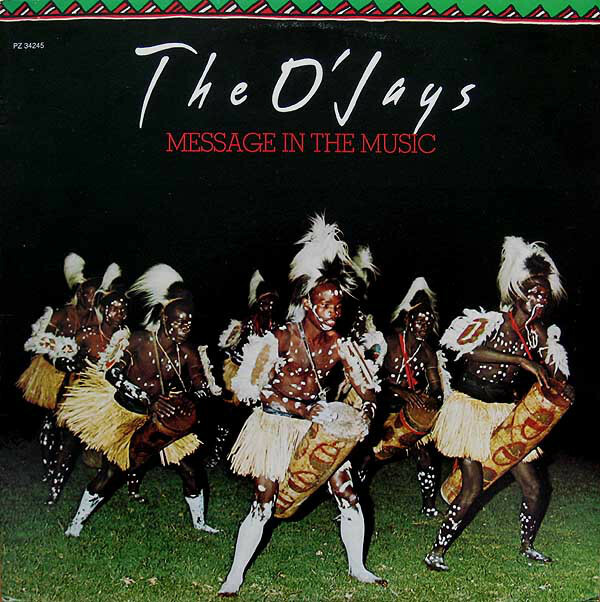 But with us being The O’Jays, a high calibre level act, we realised that we were actually the PIR label’s musical messengers making hit records, so it was really great being the premier group of the label and I Love Music was the start of the disco era in 1976. You gotta remember, when I see Archie Bell doing ‘Tighten Up’ I wished that song was mine to perform as that’s how artists are. When I heard ‘The Love I Lost’ by Harold Melvin I thought I should have done it but its the same for the other groups toward us also, because we always wanna feel we can do any song. They did a great job of individualising the music as it gave everybody a chance to be who they were. But I don’t think Harold Melvin And The Bluenotes could have done ‘Message In The Music’ though Ha ha ha ..No seriously they could have but we got to it first. ‘Message In The Music’ album gave us the classic ‘Darling Darling Baby’, ‘Let Life Flow’ and ‘Make A Joyful Noise’. MacFadden, Whitehead and Castraphen certainly made their mark on this album. Jean Carn said she had the best time working with the aforementioned Mighty Three, I understand you share those sentiments also but why? It’s the free flowing atmosphere with those three as it is also with Bunny Sigler because they were emotionally attached to the music. It’s like going on stage when you perform their music because they’d be dancing around in the studio, which would make you dance too. After speaking with Archie Bell you get an insight to how big the ‘Let’s Clean Up The Ghetto’ project was. Contributing on the title track and the funky brass jazzy Big Gangster, how important was that project which was like your version of ‘We Are The World’? Absolutely. When they did ‘We Are The World’ they managed to pull in major stars from around the world but we assembled it from our label nucleus. 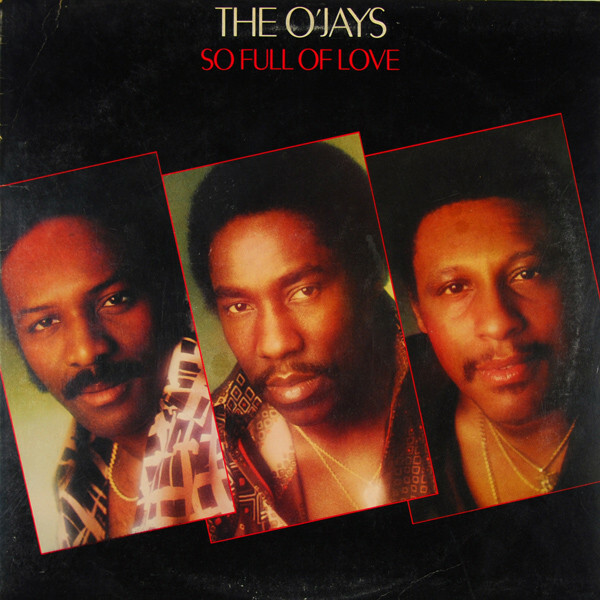 ‘So Full Of Love’ made popular due to the success of ‘Used To Be My Girl’ and the ballad ‘Brandy’ is if you seek, you shall find another O’Jays’s gem in my humble opinion. 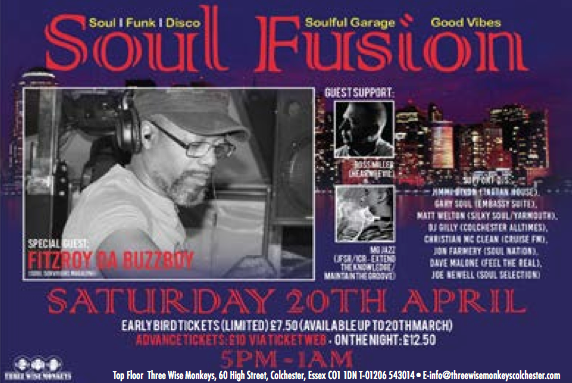 Hosting the original version of Jackie Moore’s disco classic ‘This Time Baby’. I am enamoured by the emotive ‘Cry Together’ and the under the radar boogie bullet ‘Take Me To The Stars’. How was it having a hand in producing both an uptempo ‘Take Me To The Stars’ and a ballad, your composition, ‘Help (Somebody Please)’ and was it the first time you were afforded the privilege of producing on PIR? It was part of our new deal that we got to produce and write songs. We wanted to do more but spent so much time on the road. ‘Take Me To The Stars’ was written by a friend of ours, Larry Hancock, and we used a lot of different things on that production, like synthesizers and phaser sounds, that were not used before. We tried to be innovative, using Dexter Wansel’s spacey sounds and it was very unique because we wanted to go to a different place with our music. With ‘Help Somebody Please’ I often see Mtume and joke with him that our song inspired his hit ‘Juicy Fruit’. He took our sound, captured it and took it to another level, which we couldn’t due to our commitment on the road. As we come to the end of the 1970’s with the ‘Identify Yourself’ album you continue with the very uplifting ‘Sing A Happy Song’, co-writing ‘Hurray Up And Come Back’ and sharing vocals on ‘One In A Million’. 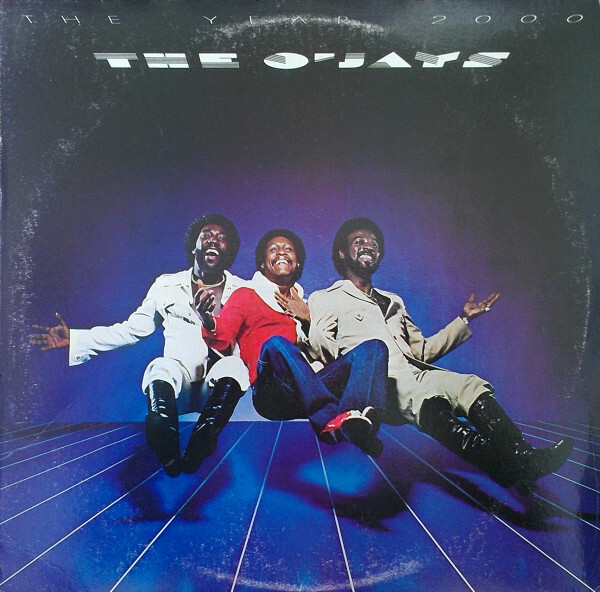 With the Philly sound embracing newer dimensions on The ‘Years 2000’ 1980 album, the Gamble and Huff conscious vision continues and you co-wrote one of my all time favourite O’Jays cut ‘You’re The Girl Of My Dreams’. That is a song with Dwayne Mitchell, a keyboard player/musician, but he passed away in the middle of our creativity. If we could have spent more time with him we could have made more inroads musically. ‘Girl Of My Dreams’ was innovative and a direction almost like Barry White. How did you get to work with Stevie Wonder on his ‘Hotter Than July’ album singing with Betty Wright and Michael Jackson on his classic ‘All I Do’? We’d been great friends with Stevie Wonder and Michael Jackson. That session was supposed to start at 10 o’clock and Stevie, being blind, has no concept of time and we didn’t start that session til 3am, finishing at 6am. We had a great time and didn’t get paid, we did it for Stevie. The next three albums, ‘My Favourite Person’, ‘When Will I See You Again’ and ‘Love Lots More’ would see the Gamble and Huff, Womack and Womack and Keni Burke influences. Tracks like ‘I Just Want To Satisfy’, ‘Put Our Heads Together’, ‘Extraordinary Girl’ and ‘Summer Fling’ would flourish. You lasted another 2 albums on PIR, whereby all the other Philly male groups had diminished. Why do you think that was? They became disgruntled as the hits weren’t coming in. 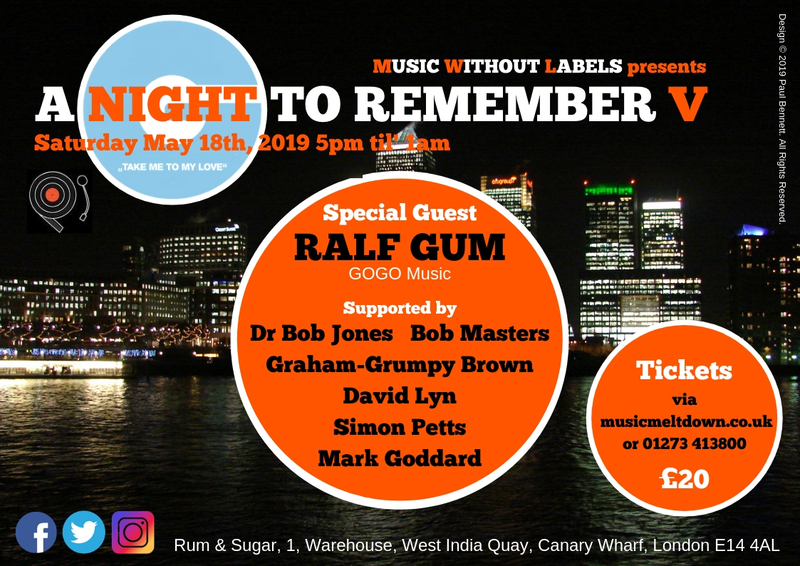 We were still the premier act on the label and we had a special friendship beyond the music with Gamble and Huff. We still do, to this day, talk about doing something special together. What’s the sense of pride you feel being inducted into the Rock and Roll Hall Of Fame in 2005? 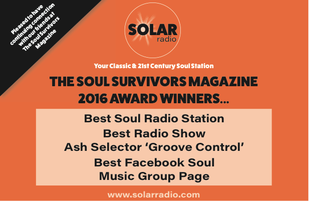 It’s quite an achievement to be in the same camp as the rock groups, R&B groups, like The Temptations, and being recognised by the industry. The O’Jays have made an impact for sure and the greatest group for me was The Temptations and we took what they did to another level and hopefully we will be synonymous with their success. Yesterday was father’s day here in the UK and I’m sure you often think of your two sons who have sadly passed. I had the pleasure of DJing at the Jazz Cafe when Gerald was promoting his socially conscious album ‘Do I Speak For The World?’ album. 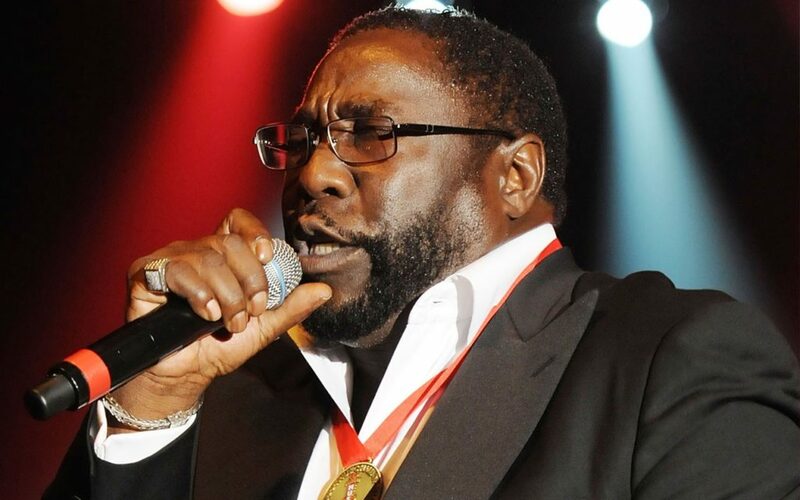 The leader of the group Levert and collaborator with many projects including a commanding performance on Larry Gold’s ‘Dance’ on BBE he had an incredible vocal presence. I loved his song with you ‘What Happened To The Loving?’ and in particular ‘Click a Glass’ interpolating elements of the O’Jays ‘Family Reunion’. Obvious, but a valid question, how proud are you of his gift to the world? Some of my greatest moments in showbusiness and on recording records was with this kid. We did a version of ‘Wind Beneath My Wings’ which still stirs me and always stays with me. He was a prolific writer in RNB and I think people are just discovering that. In terms of how proud of him, he was my hero. 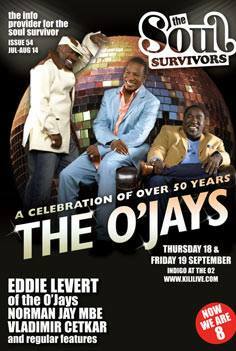 The O’Jays are coming over to the UK in so what can we expect from you ? You’re going to see classic O’Jays like ‘Darling Darling Baby’, ‘This Time Baby’, ‘Brandy’, ‘Living For The Weekend’ and every facet of the O’Jays. From the early years to right now we’ll do ‘Lipstick Traces’, ‘Back Stabbers’, ‘Love Train’, ‘Let Me Make Love to You’ and ‘Stairway To Heaven’. So tell the people to be ready to have the twinkling of the glasses.